Paul Tolme of the Belted Blog caught up with USA BMX’s Cruiser Champ recently to talk to him about his “off the chain” win on his Gates Carbon Drive-equipped Yess cruiser. 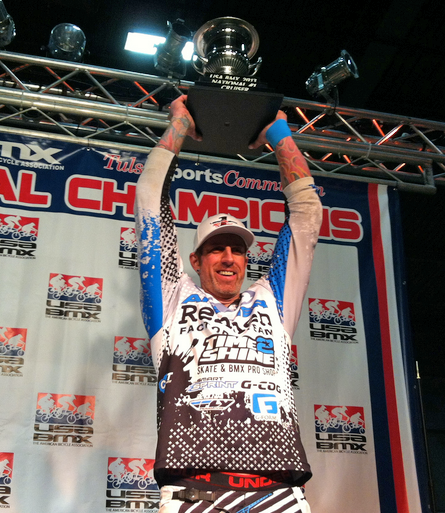 As the announcer says, Drew Motley had to win his main to take the title. And he got it done…on a bike without a chain. Joining the Yess team this season offered Motley the opportunity to ride bikes kitted out with the Gates Carbon Drive system. And if his Grands performance is any indication, they’ve made a difference. And Motley is not the only cruiser rider to find success with a belt drive Yess Cruiser. Jean-Marc Durviaux won the Belgian National Title in the Cruiser 40+ category on one earlier this year. With titles starting to stack up…are more riders going to start looking to a belt drive for an added edge on the competition? I think more than a few might be tempted. Now if Gates can get some more companies to buy into this this type of drivetrain…well, then I think things will get very interesting. Race Inc., an iconic BMX brand, was a mainstay in the BMX world back in the late 70s to the early 80s. Now, some 40 years later, Race Inc. is back with new modern race frames…all sporting the iconic Race Inc. logo of the past. If you were at the Grands (or caught coverage of the Grands) you might have spotted some of the new Race Inc. frames on display during the race. This has created a bit of buzz in certain circles…no doubt driven in part by old schoolers nostalgia for the brand. Currently, the company is racing (see what I did there?) to update their website. What we do know is that the frames will come in a range of sizes, including Cruiser. We currently have a limited number of frames in various sizes, but have planned for an additional order that should arrive in February 2016. The cost will be $495.00, plus $20.00 shipping. They will come in red, silver, blue, black and gold anodized finish. Raw frames can also be requested. 24″ frames will come in following sizes: Pro, Cruiser, Pro XL Cruiser and Pro XXL Cruiser. Specific frame specifications will be on our website update. I’m definitely looking forward to learning more about the new frames…and their specs/geometry. One more thing, take a look at these new head tube badges. Sweetness! Well, the Grands have come and gone. A record-breaking moto count, an exciting Pro Spectacular, and — be still my heart — an-honest-to-goodness water jump. A weekend for which dreams were made. OK, I’m laying it on a little thick. By now you’ve probably learned who the #1 Pro is (in the Men’s/Women’s and Vet classes). Let’s talk about who came out on top in the Big Wheel classes. Jason Carnes, a long-standing figure in the race scene, proved that he still had the chops to earn himself a title…in this case, the #1 Cruiser plate. An Austin local, he might be more well-known these days for driving the Redline Rig around North America and coaching Flight School clinics, but this title shows the 40-something big guy still has some gas in the proverbial tank. Olivia Armstrong, is the other Cruiser Champ of the weekend. After a breakthrough season in 2014, where she earned the #1 Cruiser (Girls) title for the first time, Olivia has continued her winning ways. This weekend was no different with Olivia going on to win the title again! Back-to-back titles…if this doesn’t put her comp on notice I don’t know what will. A tip of the visor to our two champions! You might think, based on my previous post 2 things you must do before the Grands; that this weekend’s big race in Oklahoma isn’t something that I’m that big on. In one way, that’s kinda true…I think your “biking dollar” could go a lot further with just about any other kind of biking trip. The Grands has been such an important part of BMX…for so long…that’s it’s hard not to be at least kinda into it. Beyond the obvious attention-grabbing classes…the Pros and the older am classes…what I’m really interested in in seeing (via video) is the “older” Cruiser classes. As most of you know, if you’re racking up in something like 41-45 Cruiser…you’re in the jungle baby…and there’s a real chance you’re gonna die*…if you’re not at the top of your game and laying down some serious horsepower. So a tip of the visor to all those riders competing this weekend. Good luck and good gates! A week before the USA BMX Grand Nationals. There’s already been the obligatory top ten list of things to do before the Grands article on another media outlet. Videos popping up to get people hyped. So…what are (in my opinion) the top 2 things to do before you attend the Grands? Head to Cleveland and ride Rays MTB* instead. Don’t get me wrong…I’m as big a fan of BMX racing as the next guy. But when you start to run the numbers a bit, the “bang for buck”, or more appropriately “bang per lap” does not add up. Budgeting…what is it now?…$50 per class? You’re paying a pretty hefty premium for your less than handful of laps around the track. Compare that with riding at a bike park like Rays*…you can ride all freaking day for under $30. Your energy will run out before your time will. It’s about “the experience” you say. 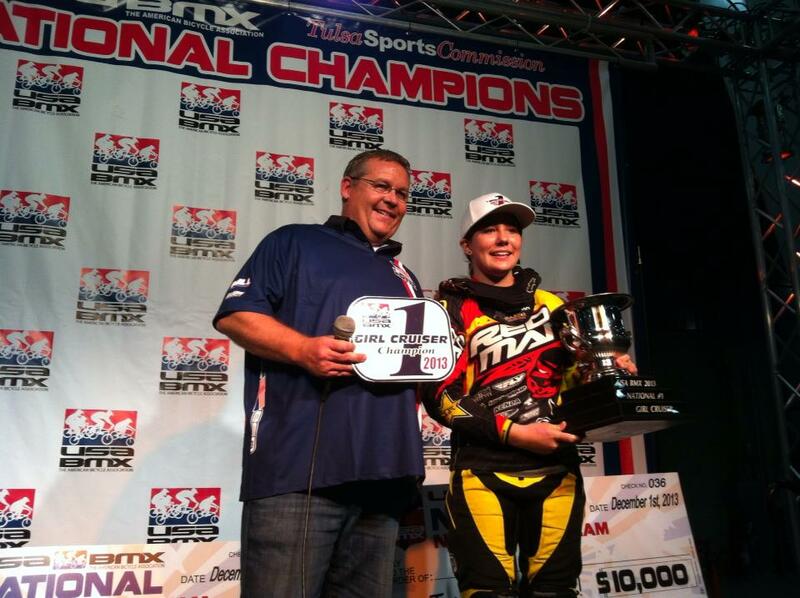 Hmm….so you’re traveling to the Grands to see some BMX stars? Well, friends any number of BMX stars make their way down to the bike parks…you just never know who’s going to be there. That’s not to mention the local rippers and riders that regularly make the roadtrip to shred. Want to score some good deals on bike parts? If the selection of bike parts on the display at the bike park doesn’t satisfy you…why not order some Black Friday deals from Dans or Empire back to your hotel room? C’mon now. Speaking of which…riding at Rays helps you score a 1/2 price room at couple of hotels in Cleveland (other bike parks have similar deals). Haven’t seen a listing on BMXHotels.com that’s as economical as that. And the Saturday night Pro Championship? Well, I guess you might miss out on that. But since you’re in Cleveland, that means you can make your way out to a Cavaliars game…and while he may not have Sam W‘s winning smile, LeBron definitely knows how to get some airtime. In the end, it’s up to you. This is just my modest proposal. Save some bucks and have more time/fun on your bike? In a bold move, the Elite Women racing the upcoming USABMX Grand Nationals are crowdsourcing a pro purse payout equal to the men’s class. The Elite Women are raising these funds by selling t-shirts representing all the big names that make up the class: Post, Walsh, Pajon…the list goes on. If you have been following BMX racing for any length of time you know that the women’s class has historically seen smaller payouts than the men. Many reasons have been given to explain this: a smaller pool of riders, women’s racing being “less exciting”, etc. All explanations that reflect a bit of circular reasoning…Could the fact that the pro purses are so much smaller be the reason that less women pursue a pro BMX career? Would bigger payouts make the racing more exciting…garnering more participants and closer, more intense racing? I think we’re about to find out. The Elite Women are really onto something here. Their goal is to sell 600 shirts…and I think they may just do it. Shawn DiPrete put it all together this past weekend at the USA BMX Grand National to take home the the overall Cruiser title. With three guys in his class in contention, this race was no cakewalk…especially in the highly competitive 41-45 age group. In Girls Cruiser, Jordie Scott beat out women of every age category to take the overall Girls title…at 12 years old. Nice work by the Redman rider. If you missed the live feed over the weekend, check out the mains in the video below.